Within the next two years, convergence between technology, media and entertainment (TME) companies won’t just be a trend, it will be commonplace, according to Reed Smith’s new survey Wired Up. And corporates realise that the rewards for taking the plunge could be huge. Survey respondents clearly see the tides turning towards convergence. When asked about increased cross-sector activity, nearly all respondents (84%) say that they expect to see more over the next two years. Breaking this down, 58% expect to see somewhat more convergence, while 26% expect to see a significant increase. Cross-sector deals in TME are nothing new. The creation of the BBC is a case in point: formed in 1922, initially as a private firm, the BBC’s founders were wireless manufacturers – among them Marconi and General Electric. Back in 1922, there was not much to tune into, and, much like today, devices were useless without content. As a result, the BBC provided programmes to drive sales of radio sets. Nearly 100 years later, convergence drivers remain strikingly similar. 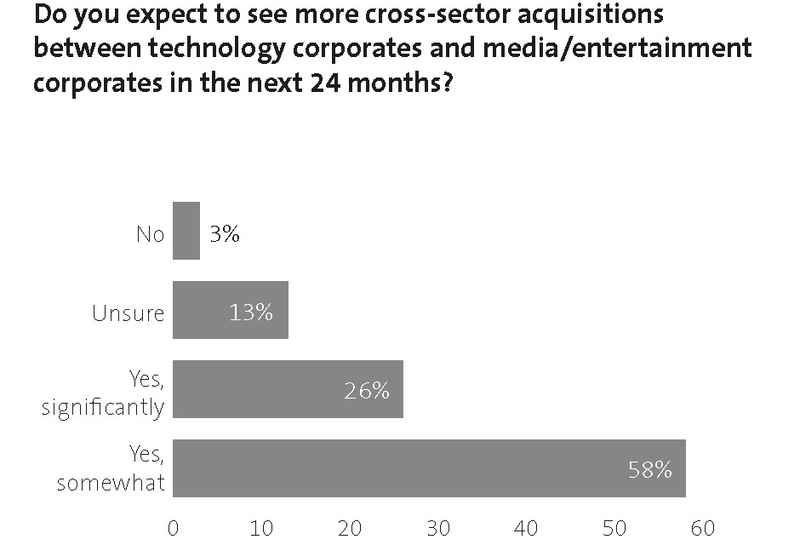 Recognising the value in cross-sector M&A, a number of respondents say that convergence will become more common as businesses fear missing out on opportunities, or strive to offer their customers better experiences. The rewards for convergence are potentially enormous: expansion of the customer base, enhanced revenue streams and a closer alignment with constantly changing consumer expectations.